A simple description of the basics in Kumiko, the Treasure Hunter should set off twee alarm bells. The film concerns a Japanese woman in Tokyo – home to a booming cutesy culture – who discovers a VHS copy of Fargo and is convinced the buried money in that film exists in the Minnesota of this film. Kumiko sets out to retrieve her treasure with the aid of a needlepoint guide and an atlas page. She has a pet bunny named Bunzo. The cast of characters she meets along the way are all memorably colourful. On paper, Kumiko, the Treasure Hunter should get lost in its own overly precious concept. Instead, it locks us into the haunting vision of a woman straining to break out of the confines of her own doomed reality. Rinko Kikuchi as Kumiko, the Treasure Hunter. 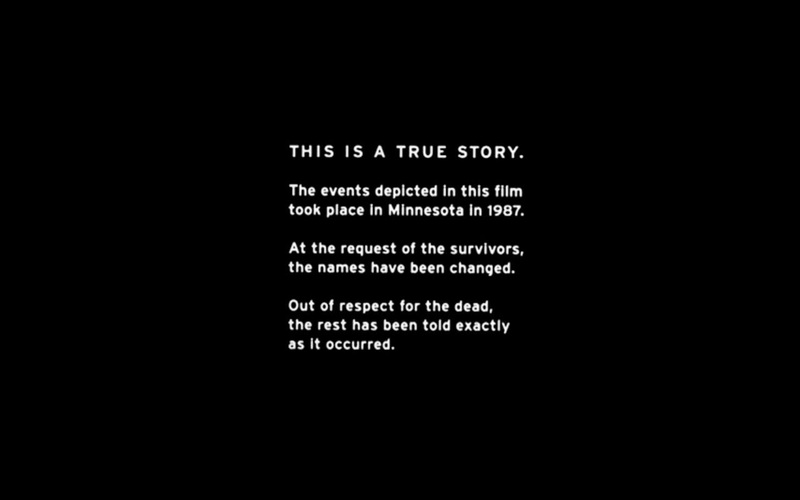 Kumiko is presented as a “true story”, using another film (Fargo) that claims “this is a true story.” In actual fact, none of it is particularly true. The realness of the film is instead brought to life by the almost stereotypical familiarity found within. Despite straddling two very different geographical locations – Tokyo and Minnesota – most of what we see is expected. In Japan, Kumiko has a hopeless office job and a cruelly small apartment. She has a mother who calls to reprimand her lack of a husband. Her taciturn boss looks to replace her. None of this challenges our cultural notions of life in one of the biggest and busiest cities in the world. Meanwhile, in Minnesota, we are greeted by kindly strangers and a sort of well-meaning ignorance. The landscape is wide open, cold and isolating. The only thing that doesn’t look or feel right in all of this is Kumiko. She’s played by Rinko Kikuchi as a cross between a wide-eyed manga girl and the bold conquistador of her own mind. The opening sequence has her already clutching a map which suggests the ongoing obsession of her life. Dressed in red, Kumiko appears as a sort of nouveau Red Riding Hood, exploring these familiar locales as if for the first time and venturing into the dangerous unknowns at the edge of her geographical and mental understanding. It’s not difficult to see why the Zellner brothers – David directed and co-wrote with Nathan – were drawn to the story of Kumiko. (Both also appear in the film as a kindly and confused sheriff and an airport preacher, respectively.) They have a surreal quest narrative on their hands that beggars belief. But, this is no fantastical story; Kumiko very much lives in the humdrum everyday world. The film’s tension is produced by the Zellner’s mining of the inherent ridiculousness of their story with the whiff of “truth” that permeates it. The actors they use – some professional, some freshly discovered – appear to tweak both sides of this equation. Likewise, the film’s locations; the largely unremarkable places are injected with a sense of foreboding wonder via Kumiko’s eye. At one point, Zellner’s well-meaning sheriff character explains what happened to the statue of Babe the blue ox – its privates were shot off – and we’re left to imagine what Kumiko thinks as she stares at these bizarre constructions. The ultimate effect is to make us feel both uneasy with and comforted by what we see. It’s a clever trick which continues the film’s balancing act of true and untrue, cuteness and despair, real and surreal. By the time Kumiko takes to the highway clothed in a patterned motel room comforter, we see an able road warrior – but we also prepare for the worst. Kumiko explains herself to a local sheriff (played by the director David Zellner). There’s no real explanation as to why Kumiko does what she does. There is no map to explain her mind. The easiest thing to consider is a general unhappiness or lack of fulfilment in her life. Kumiko doesn’t relate to her co-workers and doesn’t appear to want a husband. She looks to want adventure, something outside the ordinary – even if she has to imagine it in her mind. It’s never said outright, but mental illness, or a certain mad obsession, plays a role in her decision making. The film’s aural and visual technique forces us to consider her perspective exclusively. We get over-the-shoulder shots filled with a shear, throbbing score that suggests discomfort; time and again the camera holds as Kumiko races out of the frame, only to be carried back into it as a punchline. It’s as if she’s literally straining against the doomed narrative of her story, defeated time and again by the camera. To the film’s credit, and through Kikuchi’s performance, we still want Kumiko to be happy; we want to believe she can succeed. Only in the film’s final moments, as it reaches its only real logical conclusion, are we allowed the too precious moment of release, the giddy tweeness we ordinarily would have expected throughout. By then, though, it’s too late; Kumiko may have found her treasure, but she’s lost her way.